Joan Miro (1893-1983) was a Spanish painter and sculptor who produced vivid abstract and surrealistic works of art during much of the 1900s. His works often have very descriptive titles. Joan Miro’s name is pronounced hoän mro. 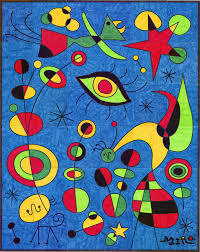 Miro was born on April 20, 1893, in Montroig, Spain, which is near the city of Barcelona. His father was a goldsmith and watchmaker. 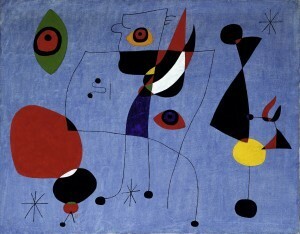 Miro studied art at the School of Fine Arts at La Llotja and at the Academy of Francisco Gali, in Barcelona, Spain. 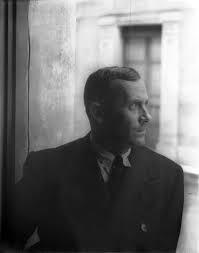 He had his first show at the Dalmau Gallery in 1918; he was 24 years old. He painted, sculpted, worked in ceramics, produced many mosaics and murals, and illustrated over 300 books. 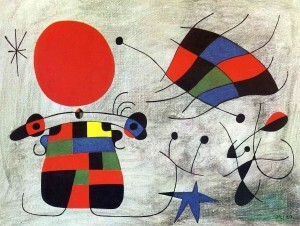 Miro lived to be 90 years old, dying on December 25, 1983.